Buscopan (Hyoscine Butylbromide) is prescribed as a treatment for spasms affecting the stomach, gastrointestinal tract or intestines, and can also be used when these symptoms are caused by IBS (irritable bowel syndrome). Buscopan (Hyoscine Butylbromide) is prescribed as a treatment for spasms affecting the stomach, gastrointestinal tract or intestines, and can also be used when these symptoms are caused by IBS (irritable bowel syndrome). In addition to this, spasms affecting the bladder may be treated with this medicine, and it is often taken to treat stomach cramps. The primary ingredient in this medication belongs to a class of drugs called antispasmodics, and it works by causing the smooth muscle (a muscle that occurs in the stomach, intestines and elsewhere in the body) to relax, thereby helping to prevent contractions of the muscle. This in turn leads to a reduction of painful spasms that can occur in the genitor-urinary tract or the gastro-intestinal tract. 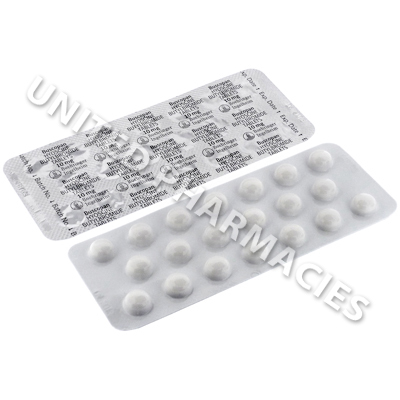 Buscopan (Hyoscine Butylbromide) comes in the form of sugar coated tablets, which need to be taken by mouth. However, before commencing treatment with this antispasmodic drug, patients must visit their doctor for a thorough medical assessment. Only a doctor can determine the required dosage. After this, you must strictly adhere to the dosage regimen prescribed to you by your doctor. Never take more than the amount your doctor tells you to take. Patients taking this drug are advised to tell their doctor about any side effects that occur. In some cases, severe reactions are possible, and if this occurs, medical care will be required straight away. Examples of a severe reaction include hallucinations, delusional behaviour, urination problems, eye pain, redness of the eyes and other symptoms which have not been mentioned here. If your vision becomes blurred after taking this medicine, you must not drive or operate hazardous machinery. Consumption of alcohol while taking this drug may increase dizziness and drowsiness. 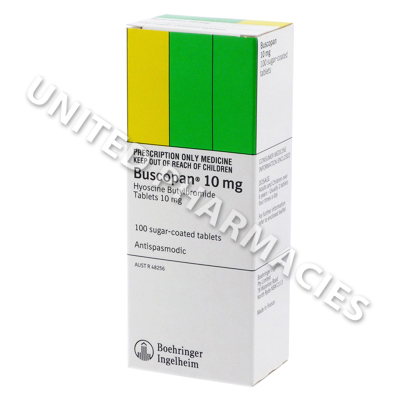 Always use Buscopan (Hyoscine Butylbromide) as you have been prescribed by your doctor. Never self-medicate or change your dosage without first consulting your doctor. The correct dosage can vary depending on your health, medical history, and the severity of the condition being treated.